Prasa must account for Pretoria trains collision: Nzimande - SABC News - Breaking news, special reports, world, business, sport coverage of all South African current events. Africa's news leader. 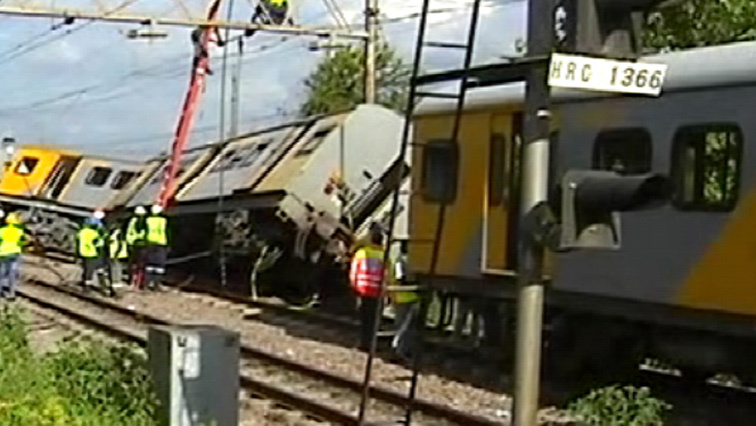 Eighty people have been seriously injured after two trains collided in Pretoria on Tuesday. Transport Minister Blade Nzimande says the Passenger Rail Agency of South Africa (Prasa) must account for the collision between two trains which happened at the Mountain View train station in Pretoria on Tuesday morning. Three people were killed and an estimated 300 others injured, 80 of them seriously. A preliminary investigation has found that the cause of the collision is cable theft. It caused the signal system to start operating manually. Nzimande who visited the site of the collision late on Tuesday afternoon, has conveyed his condolences to the families of the deceased, saying he is personally outraged. He says Prasa has spent hundreds of millions of rands on security but it looks like this has no impact. The Rail Road Association says the person or persons who instructed the two trains to move on the same railway line must be held personally responsible. The association’s Chief Executive Officer Mesela Nhlapo says the directors of Prasa must also be held personally liable when people die in train crashes. She says the Railway Safety Regulator Act stipulates that Prasa has the responsibility to transport commuters safely, but this is not happening. This entry was posted on 08 Jan 2019,09:19PM at 9:19 PM and is filed under South Africa, Homepage Latest Stories Slider, Homepage Featured Story Slider. You can follow any responses to this entry through the RSS 2.0 feed. Both comments and pings are currently closed.